Amazing!!! We brought in the hilarious veteran of the Utah comedy scene, Christopher Stephenson, and he was downright brilliant. 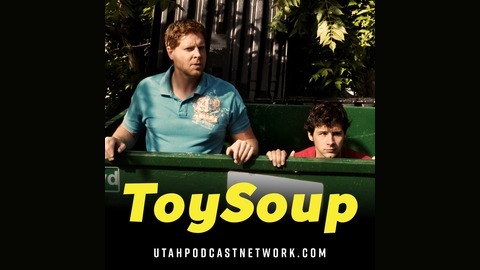 Creating characters with adolescent healing powers to a tandem of angry Maverick cashiers, Christopher rode the ToySoup improv wave with expertise skill. Thanks dude. You made us laugh with delight as you let Troy lick of your nightly butter soaked fingers….I mean your pantomime butter soaked fingers. Episode 7 is in the books people. As always have a listen and keep your kids locked up cause this is definitely only for adults. And dogs, dogs can totally listen. The post TOY SOUP 007: Let Me Touch Your Smooth Hands! 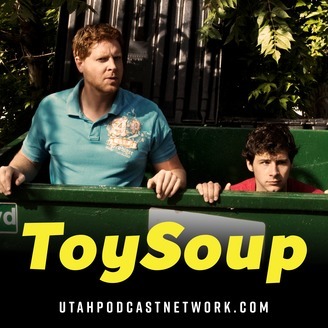 appeared first on Utah Podcast Network.